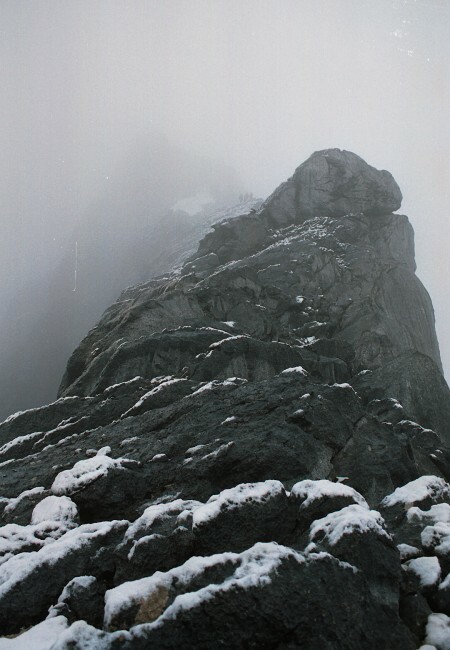 Description: The Carstensz Pyramid summitridge, just after it was gained from the gully. Although tropical, it's cold enough to snow and it can be quite nasty as the ridge is very exposed to the elements. You can see 3 climbers ahead in the mist..